Our brand new multi-functional mobile learning space, enabling Success4All to bring our Learning Hubs and fun, hands-on activities, such as STEM and computer coding clubs, direct to communities that it otherwise wouldn’t be able to reach. It all started with children’s drawings to George Clarke about a double-decker bus; that set off a small local charity, Success4All, on a 4-month whirlwind journey that ended with the UK’s first ever mobile double-decker Learning Bus. Equipped with everything a child needs to inspire Newcastle’s next generation of scientists, creatives and innovators. You can watch their journey on Sunday 10th February at 8pm on Channel 4. 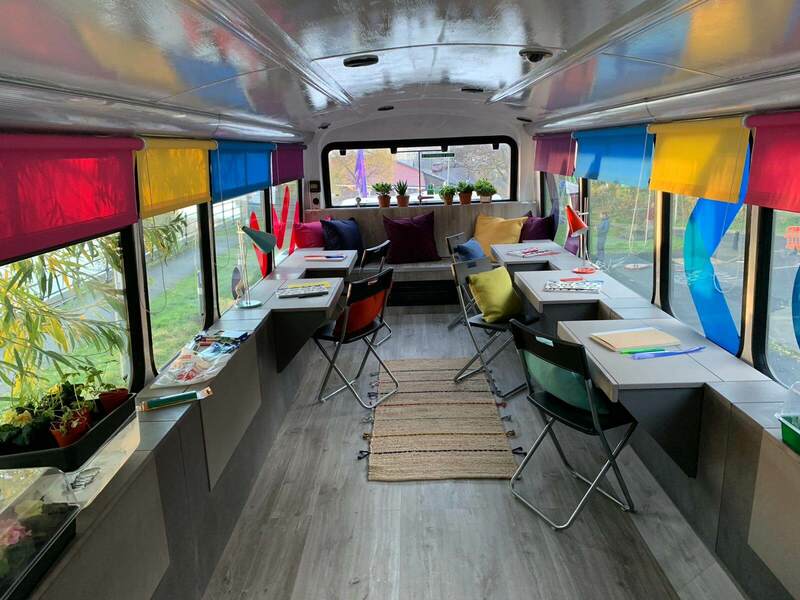 If you want to find out more about the work they do, the Learning Bus will be on Northumberland High Street on Sunday 10th February from 10am – 4pm. 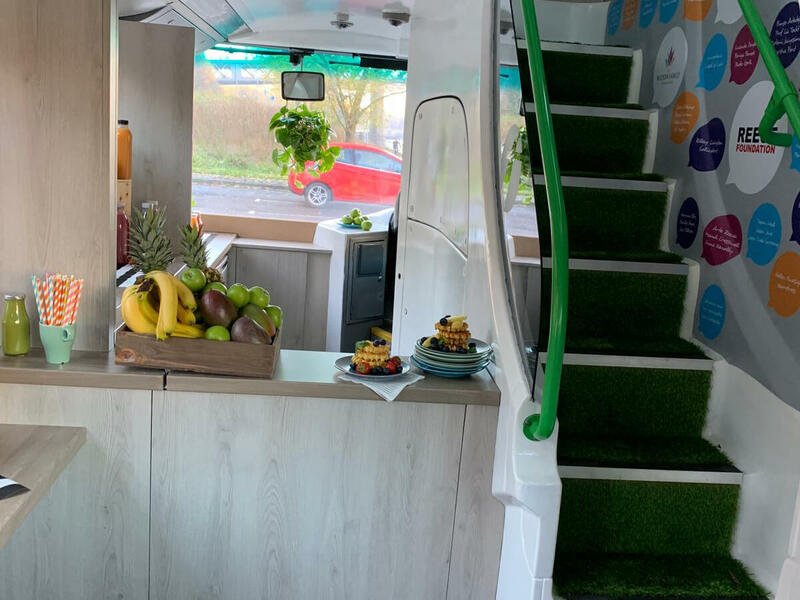 The Story: Success4All got a phone call to say that ‘George Clarke’s Amazing Spaces’, were interested in filming their double-decker bus conversion project. To the question: ‘Do you have a double-decker bus?’ came the enthusiastic answer: ‘No, but we can get one!’ With no money whatsoever for this, this meant they had 1 month to raise £55k to buy the bus and convert it. With a stroke of luck, North East engineering charity Reece Foundation, gave a hefty donation of £30k allowing Success4All to buy a London double-decker bus ready for the first day of filming with George Clarke. Following an intensive month of crowdfunding and generous donations from many local businesses, Success4All’s Learning Bus was a full steam ahead. With only a 2-month deadline, Success4All had to strip, build and paint 1,175 square feet of bus, with the help of a very skilled local joiner, Brian Home, of SkillBuild Joinery, the Learning Bus has been converted into a state-of-the-art multifunctional learning facility, complete with built-in WiFi, STEM equipment, café and lounge. We finished just in time for the new season of ‘George Clarke’s Amazing Spaces’, that is currently being aired on Channel 4 every Sunday at 8pm. Success4All’s episode will be shown on Sunday 10th February.